Healthy Family, Happy Life: Possibility Living Seminars Return!! Beginning November 15th and continuing on the 15th day of every month, Robert and I will be presenting one hour-long teleconferences called Possibility Living! The format for the teleseminar will mirror Robert's radio show, Balanced For Life, however, we will be doing this through a telephone conferencing system as we want to include everyone!. Our first teleseminar will address the importance of healthy integration of all three parts of your person; body, mind, and spirit. We will have a surprise guest and host a lively discussion which promises to uplift, educate, and enlighten. Since our kick-off is in November which is the month for Thanksgiving in the USA, we will also discuss the topic of giving thanks in all things. 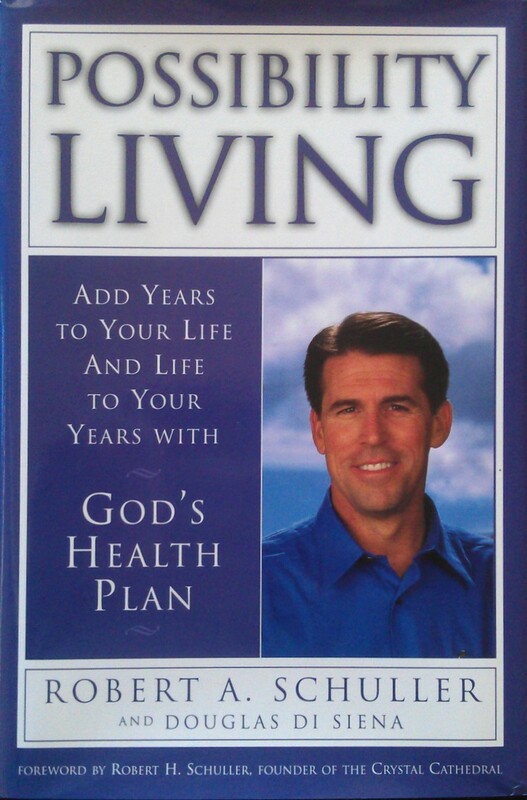 If you remember the Balanced For Life radio show and the Possibility Living Seminars you may also recall that this fantastic ministry progressed into a great body, mind, spirit book titled Possibility Living: Add years to your Life and Life to Your Years. This book was written by Dr. Robert A. Schuller and Dr. Douglas DiSiena and was published in the year 2000. The nutrition and physical health chapters were the harbinger to the now 'famous' Daniel Diet which has become a great movement in many churches and spiritual circles. While impacting then, Possibility Living is especially timely now because of the stressful, challenging, and toxic world we are living in. As a result, people are more ready than ever to hear the great news that you can improve your overall health and wellness! Not only will you learn how to treat your body better but you will gain knowledge that will assist you in attaining great emotional health too. Most importantly Possibility Living Teleseminars will help you to learn more about God for a rich and fulfilling spiritual life. -Do you believe that God has great things in store for your future? -Would you like to learn what's necessary to act on your dreams and make them a reality? -Have you been holding on to toxic emotions or thoughts which could be holding you back? -Do you want to hear from and ask questions of experts in the fields of body, mind, or spiritual health which will help assist you in reaching tangible goals? -Are you ready to be motivated and inspired with new ideas for your life? -Can you imagine having all of the latest, up-to-date, cutting-edge health information available to you on a regular basis? -Do you want to improve or transform all areas of your life for a better, more productive you? The focus of Possibility Living is on issues which deal with physical, emotional, and spiritual health, so the possibilities are endless! And...at the end of each inspiring program Robert and I , along with our special guest, will spend time answering your questions. This always provides for a stimulating exchange of ideas! Please plan on joining us as we launch our latest way to inform, educate, and motivate you with the hope which is found in a loving and all-powerful God! **The first five people to sign-up will also be sent one of Robert's autographed books as a bonus! So, make sure that you sign up today!! 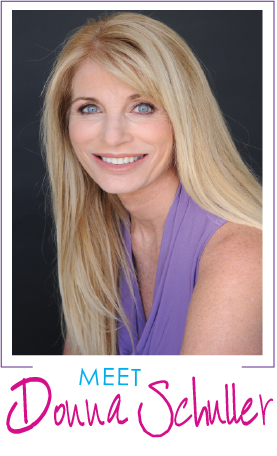 Possibility Living Teleseminars will be held on the 15th of every month and will begin promptly at 6pm PST. The monthly price for each one hour-long teleseminar is just $29.95. For a six month commitment you will have access to teleseminars for only $20.00 for each teleseminar! In the future we plan on offering even greater incentives for unlimited access to our teleconferences. So, please invite your friends and family to join us on this exciting journey! In order to access the Possibility Living Teleseminar please go to www.robertschullerministries.com and look for the "Donate" button located on the right hand side of the home page. Make a donation for $29.95. Please make sure you include both your phone number and your mailing address as this is both your sign-up and receipt of payment. In turn you will be sent a confirmation including the seminar call-in number and participant code which will give you access to the November, 2012 Possibility Living Teleseminar. If you need to sign-up via snail mail you may send a check to our office. Please allow at least one week for your check to be received and processed. If you are out of the USA you may need to mail it sooner. Remember: Be one of the first five to sign-up for a free autographed complementary book! **All fees are paid in advance. This is the only way to get the access code for the Possibility Living Teleseminar. When signing-up please include your shipping address so that we may send out your free book should you be one of the first five to register for the new Possibility Living teleseminar! 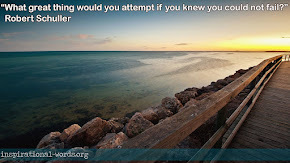 With God there are always new possibilities for learning and becoming healthier and stronger in body, mind, and soul. Both Robert and I look forward to spending time with you and being a part of your emotional, physical, and spiritual enrichment as we grow together in Christian Love.